Biodynamics is a rapidly growing method for farming wine grapes, although it is still a small part of total production with less than 11,000 hectares of certified vineyards world wide as of 2017. Essentially it involves viewing the farm as an integrated ecosystem, focusing especially on soil health using homeopathic preparations, and with all vineyard operations regulated by the celestial calendar and phases of the moon. Yet it has a reputation for being flakey, weird, and unsupported by science. The science behind it is still a work in progress. But many experienced and talented winemakers—from Littorai’s Ted Lemon to Tomas Duroux at Margaux’s Chateau Palmer–are committed to it, so it’s anything but flakey. Weird? Well yes it is. But some of that weirdness comes from misunderstandings about biodynamic processes that look less “weird” when the details are understood. Craig Camp of Oregon’s Troon Vineyards is one of those talented winemakers committed to biodynamics. His recent post entitled “Biodynamic Fake News” goes a long way toward setting aside some of those misconceptions. His entire post is worth a read but here are the highlights. –Moon phases are only one factor in determining the timing of activities in the vineyard and are not rigidly adhered to if weather or other factors must take precedence. –Neither raw manure nor unusual plants such as yarrow and nettle are directly distributed throughout the vineyard. They are fermented and added to compost which is then distributed in the soil to enhance the microbiome. –The calendar for winetasting is not a required part of the Demeter certification and may or may not have validity. There is much more in the original post. But what is evident from Craig’s account is that the treatments of the compost are largely about enhancing the micro-organisms in the soil. There is considerable science that is beginning to show the influence of the microbiome on terroir and wine quality. The scientific credentials of biodynamics may in the end be vindicated by this research. The “mystical” dimensions of biodynamics are not central to its practice and should not be used to dismiss it as nonsense. Dwight, I guess Mr. Camp may be echoing another eminent mystical authority who is reported to have once claimed that: ‘in my fathers house are many rooms’. Even in that context, some biodynamic farmers would consider Camp’s descriptions to be ‘reformed’ or even downright heretical. (I recently noted some biodynamic people using drip irrigation, an idea which is complete anathema to the biodynamic farmers I know). But there is still plenty of flakiness and little if anything supported by science in what Camp claims (anecdotal evidence should not be confused with fact nor science). Science will grant that homeopathy may have a placebo effect where humans are concerned; for the rest it’s just bunkum. And how to explain why plants are subject to the placebo effect? As for the creation of compost in cow horns. 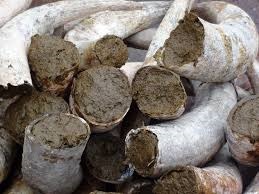 Why the need to bury manure in cow horns or indeed any other animal horn in the first place? I have no idea how science or anything else could possibly set up an experiment to verify the effect of lunar phases on planting and growth. Mr Camp’s ‘reasonable assumptions’ about the effects of lunar gravity on liquids shows he has little understanding of either gravity or lunar gravitational effects on large bodies of water. And no science has shown an observable difference between biodynamic and organic practice the last time I checked. The fact that talented and experienced (and even highly intelligent) winemakers and learned people may believe in biodynamics lends little support to its claims either. In a certain European City State in you will find one of the greatest concentrations of talented and brilliant minds on earth, but much of what they claim and expound is unprovable and considered by many to be downright flakey – including by all the biodynamic people I know. Thanks for commenting. My reference to scientific confirmation was specific. I was referring to the evidence (preliminary but promising) that the microbiome has an impact on wine character. The point of my post was to point out that much of biodynamics is really about enhancing the microbiome. That is the element that seems to be both effective and subject to scientific testing. The stuff about cowhorns and luner phases is charming but perhaps not central and many people committed to biodynamic principles are treating them as less central. Obviously, the fact that some talented winemakers are moving toward biodynamics doesn’t prove it to be be true. But it does suggest it isn’t flaky, which again was the point I was making. It is both time consuming and expensive to convert to biodynamics. Apparently, skilled winemakers accustomed to making accurate, empirical observations in their vineyards are noticing positive effects. Without those observations it’s hard to know what their motivation might be. I hardly think comparisons with the machinations of the Catholic church are apt. My use of the Vatican analogy was just to point out how brilliant and talented people can be attracted by ideas which seem flakey to others – and to science. I was not condoning the conduct of the CC now or through the ages in any way. There are many reasons why people are attracted to ideas and movements; the spirit of genuine enquiry is just one among these.